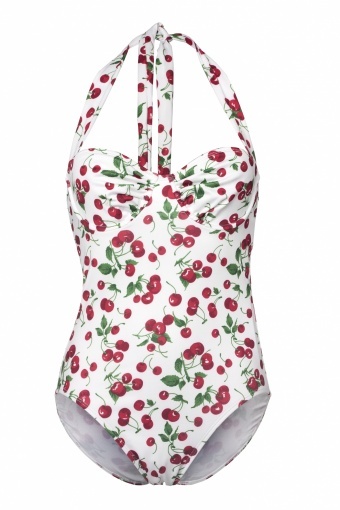 Exclusively available at TopVintage in Europe: Sweet Cherry Black 1 piece tie halter swimsuit from Bettie Page Swimwear. 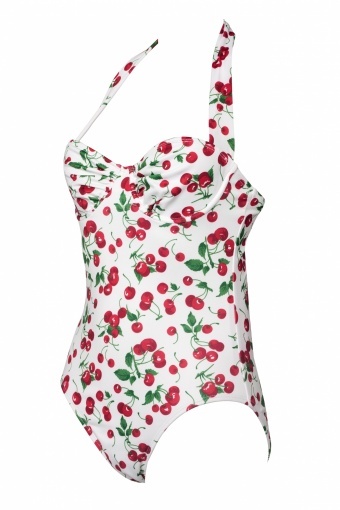 Allow yourself to be seduced by this exquisite cherry one-piece swimsuit. The sweetheart top has underwires and pleated inserts which gives you the perfect fit and support regardless your cupsize! 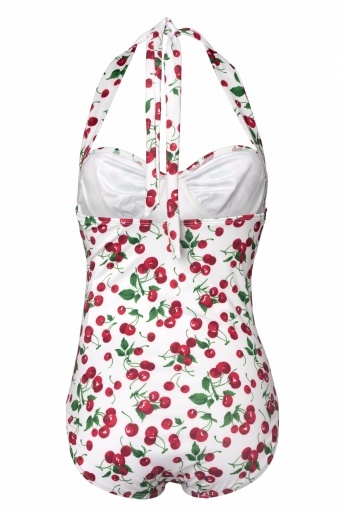 It is made from a stretchy and comfortable quality mix of lycra and spandex. The front is lined and not see-through with adjustable halterties. The high cut leg makes your legs look longer. 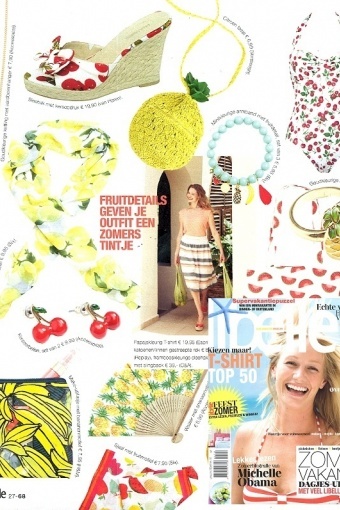 As seen in Jan and Libelle and Glossy!